In economics, as in life, sometimes there can be too much of a good thing. As technological progress marches on and artificially intelligent machines make us ever more efficient, we face a future revelling in the rewards of rising prosperity, working fewer and fewer hours. We can put our feet up, let the robots take over. 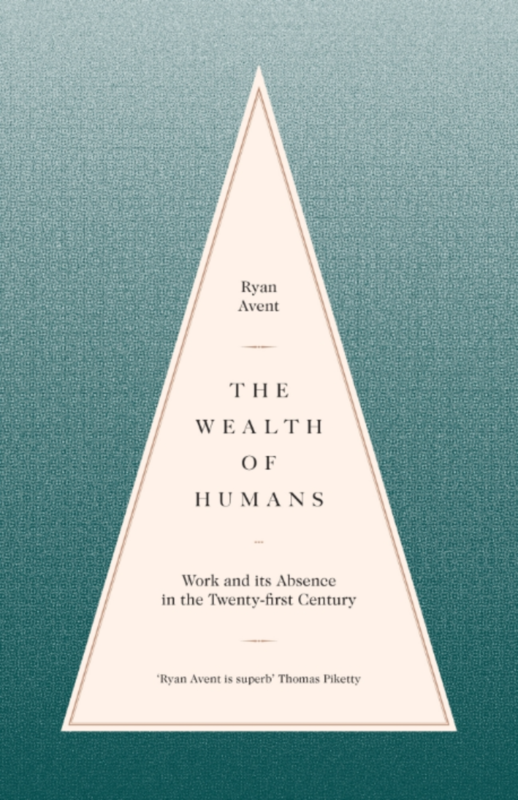 But in his new book The Wealth of Humans, Economist editor and columnist Ryan Avent reflects on a world of too many workers with too little work for them do, and finds that the future looks crushingly bleak before it gets any better. An abundance of underused workers – a wealth of humans – will make it harder for them to bargain for higher pay, says Avent. We'll face stagnating wages, rising inequality, and radical political upheaval. Indeed we're already facing it. We have, though, faced it before. While the Industrial Revolution eventually brought us great prosperity and peace, it was not before more than a century of revolution, war and chaos. Avent reckons we're on the cusp of a digital revolution that promises to be just as destabilising. Where we go from here comes down to the second meaning of the book's title – that is, how we distribute the wealth of humans (or humans and their machines). We'll need to fundamentally change the way the economy works, says Avent, considering more radical means of redistribution and ways of living. Rethinking the world of work requires overhauling the social contract. We'll also have to rethink work itself in a world of technological abundance, and discover how to order our day-to-day lives when we don't need to work so much. Or maybe at all. I spoke to Avent about the book. There's a big debate going on about technological growth, that we’re not yet seeing, in the productivity statistics, the impact of the obvious technological change that we see all around us. Robert Gordon and others think that growth is over. Where do you stand? I think one of the main motivations of the book is to try to reconcile these two key facts. On the one hand it seems like all these amazing digital things are happening, and on the other, the productivity numbers are just lousy. I think Gordon is wrong that the best days are behind us in terms of technological progress. I think the digital revolution has the potential to be as transformative as a lot of the really powerful industrial-era technologies like electricity, because things like machine intelligence can be used in all different parts of the economy. They can be generally applicable. And the reason I think that that hasn’t really turned up in the productivity statistics yet, well I’d say it’s threefold. Part of it is measurment. Part of it is that there’s just a delay in the time in which we discover something and the time it takes to figure out how to use it effectively. Electricity, the big kind of innovations, were made in the 19th century, but these things didn’t have a major economic impact until the first decades of the 20th century. But the main story actually I think is that we are seeing a lot of this stuff get used, and when it is used it often displaces labour, or boosts the productivity of some people so that they can do the job that a lot of other people used to do. So as a result there is this glut of labour. That glut of labour, the only way the economy really knows how to resolve it is to force workers to accept low pay. Because there’s such an ocean of workers out there willing to work on low pay, other firms don’t have much of an incentive to invest in labour-saving technologies that would raise productivity. So, you’ve got companies like Amazon, which have these massive logistics warehouses, and they could automate all the different jobs in these warehouses – and they have invested in Kiva and these other robotics companies – but when you have a queue of people ready to work at $11 or $12 an hour, it doesn’t make economic sense to invest in that technology. And so these sorts of things hold down investment, and hold down productivity growth. That’s how I bring those two things together. Yeah, they certainly think there shouldn't be large-scale mass unemployment. But I think one of the ways the market is supposed to clear away the underused labour is through the flexibility of the price mechanism, is through workers accepting low wages. So I don't think there's necessarily a contradiction there. I suppose people would say that in the past new technological changes have tended to generate more good jobs. But in the past we were better able to do things to make workers more effective, we were able to introduce universal primary and secondary schools, and make college affordable, and these sorts of things to prepare workers – it made it so workers didn't have to rely much on accepting low wages to find new jobs. Why is a labour glut necessarily a bad thing? In Keynes' vision, we'd have all just stopped working by now. Why do you think that, while his predictions about technological advances, growth and rising living standards were bang-on, that that's not happened? You seem to suggest that we haven't been able to redistribute these benefits, that neoliberalism has in some sense failed us. Are you confident it'll be different this time – and if so why? You're right. The glut is the result of the fact that we're figuring out how to do things better with technology, and that should be a good thing. I think the main problem we face is in the distribution. And a lot of that just comes from the fact that our economy, as it's currently structured, is not built to have lots of people outside the workforce. So when people are displaced from one job, there are programmes available to them to stay outside of work but they're not very generous and they leave you sort of living in poverty, so most people go back out there and look for new jobs. And they do that, pay stagnates, and so the gains are just really unequally distributed. You can imagine a world, instead, in which we did more distribution, and instead of forcing everyone to work 40 hours a week at crap jobs, we allowed them to cut back hours and then subsidise their wages. That sounds like a better world to me, but it's one that has to be negotiated politically, and that's where we run into trouble. And that I think is the second part of the question, which is, am I confident things are going to be different this time? In one sense, no. I don't know exactly how technology will unfold. I suspect that because machine intelligence is so generally applicable, and is getting better really fast, probably things will be different. But I think in one key way things will not be different and that is in that the Industrial Revolution didn't automatically benefit everyone. To generate the broad-based prosperity that we saw in the 50s and 60s you need more than 100 years of social reform and the construction of a social safety net. We had to change the way the economy worked. And I think that we can expect to see a similar process unfold this time around. Is some kind of basic income inevitable, or desirable? The tricky thing with the basic income, even a small one, is that it represents a fundamental change in our approach to the welfare state, which is that we're not providing social insurance for everyone against hardship (so that they pay when they're working and they can pull out when they're old). It's instead a statement that we're going to sever the link between benefits and work, and we are going to create the possibility of kind of broad one-way transfers, from those who are sort of necessary and those that aren't. And I think you know questions about the economic efficiency of the policy aside, like that those two things that happen require kind of a really big change in the mindset of voters and politicians. And I think we're probably a long way away from that. I do think that's kind of the inevitable place where we end up. And you know the precise contours will be interesting to see. Is there going to be some sort of work or volunteerism requirement? I don't know, probably, but I do think that's probably the logical end point. But we probably get there in a roundabout way by starting with more provision of free public services, more wage subsidies. And we eventually wind up at the basic income. Well there are parts of the modern economy where that is happening a bit, right. I mean in parts of the information economy we once needed prices to ration access to journalism because it had to be printed on physical paper. Now we don't need that. And as it turns out, a lot of people are still finding ways to make that business model work. But it's not because we need to ration the actual newsprint. And so I think we can expect to see more and more parts of the economy kind of move into this territory over time. It'll be a long time before we get to a world where everything is like that, because we can't build a house now entirely with robots, for example. We can't treat someone's disease entirely with robots; and so scarcity will continue to be necessary. The thing is that scarcity and pricing play an economic role which is to make sure that we're not over allocating scarce resources. But they also play a social role, which is to sort of direct people to do different things. They inform people as to how they ought to spend their time or what they ought to study in school and things like that. Long after scarcity is no longer economically necessary it still might be socially necessary. And that's another one of those tricky things we have to grapple with. One of the major things running through the book is that we're relatively unreflective about work, what it is, should be and why we do it – it's more than a way of getting food on the table. Do you imagine a world where we'll have to create 'make-work' for people, create jobs that aren't really necessary? Possibly. Some people would argue that we're already doing that. That forcing people to stay in the labour force to put food on the table even if that means they become the third Walmart greeter, earning minimum wage – that feels a little bit like make-work even if it's not intentionally set up that way. But you know it could be that we lack imagination. If you were to go back and talk to someone in the middle of the 19th century and you were to tell them that 100 years from now the state would provide most education for free, healthcare for free, provide generous pensions and that tax rates were going to be exorbitantly high and progressive in order to fund all this, they would say you're nuts, that's never going to happen. The state will never get that big. There'll be rebellion first. So maybe, from our limited perspective we think that a better society in which people are free to pursue their own interests and are supported by the state is not possible. But maybe it is, we just need to have a long period of getting our minds in the right place. But certainly, from the perspective we have now, it seems like that's just not going to be socially tenable to have it. But it strikes us as being a bad thing that they're doing that, right? Allowing ourselves to let people do the things that make them happy is not always something that humanity is good at. I think that for me at least the ideal future is not one in which we have to teach people or make people do things that society says they ought to do, but one in which it's ok for people to work out for themselves what they're going to enjoy doing. The political disruption to come that you dwell on is troubling stuff, but you are already seeing it – with Trump, with Sanders, Brexit, you have a lot of people who are left behind by globalisation and technological change. But overall, even though you say we are failing at the politics of this, you seem optimistic that we'll sort it all out? Well, we have one experience with this really and that was the Industrial Revolution. And it was dicey. There were very many periods in which a lot of things went wrong. But we did emerge on the other side much much richer, and generally in a more peaceful and prosperous world. So I don't know. It's hard to know what the odds were at the time. Maybe if you could rerun it, in nine times out of 10 we have a nuclear war between communism and capitalism and that's it. I think based on what we know it seems like it takes us a while to get the institutions right but we do ultimately get them right. And that's really all I'm basing that on. But it is disconcerting to see the kind of tone of the political shift that we we've seen. It's immediately negative, and focusing on who we can exclude and how excluding others will make life better. And that's troubling, and, I guess, that's the way things often go. Hopefully recognising why these things are occurring will help us to come up with better ideas.